This is without a doubt the best pumpkin pie recipe we have ever seen and it comes straight from the brilliant people over at BBC Good Food! 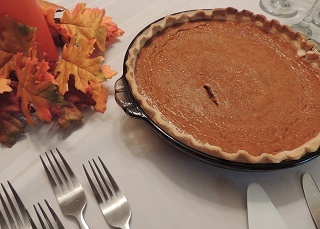 So if you are looking for Halloween baking recipes, look no further than this pumpkin pie! When you see a pumpkin pie recipe online, do you wish there was something different added it to make it that little bit more exciting? Well the people at BBC Good Food have granted you your wish with the best pumpkin pie recipe we have seen in a very long time! On top of the pumpkin itself, you will find a delicious layer of stem ginger cream adding a winter warming spice to the pie along with pumpkin seed brittle, which is a combination of caramelised sugar and pumpkin seeds. Top this off with an equally delicious crust with more ginger and you have the PERFECT pumpkin pie. The only scary thing about this pumpkin pie is how good it is! So enjoy some Halloween baking this year with this fantastic recipe from BBC Good Food! Step 1-Preheat your oven to 180 degrees celcius/160 degrees for a fan oven/gas mark 4. Place your peeled and chopped up pumpkin in to an extra-large roasting tin, add a splash of water and cover it with foil. It is important here to make a small hole in the foil to allow steam to be released. Cooker fo no more than 45 minutes until the pumpkin is a lot softer. While this is cooking, prepare the pumpkin seeds for the crust of the pie by placing them on a baking sheet and roasting in the lower part of your oven for about 10 minutes. You will know they are done when they start to make a popping noise. Once you are happy the pumpkin is cooked, drain it thoroughly and allow to cool. Step 2-Now start to make the crust for this delicious pumpkin pie. Add the roasted pumpkin seeds and the 300g of ginger biscuits to a food processor and blend until very fine. Then add the butter and the chopped stem ginger and blend once again until it looks damp. 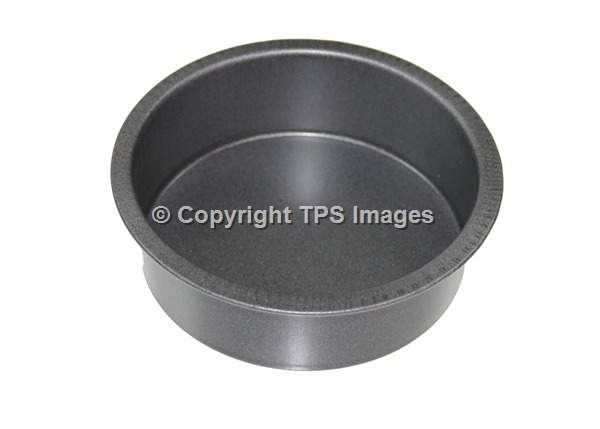 Add this to a fluted tart tin or pie tin. Anything from around 23cm to 26cm is fine. Spread around the tin evenly before putting in the fridge for about 30 minutes. Step 3-Adjust the temperature of your oven to 160 degrees celcius/140 degrees for a fan oven/gas mark 3. Once the pumpkin is cool, clean the food processor before adding the pumpkin to it. Then add all the other ingredients for the filling of the pumpkin pie and blend to a smooth consistency. 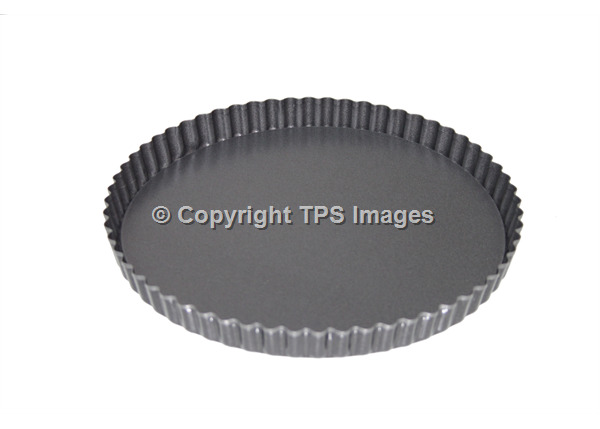 Take the pie crust out of the fridge and place back on a baking tray in the centre of your preheated oven. Be careful not to spill any of the mixture when pouring it in to the crust. Bake the pie for about 40 minutes until it starts to set, but it should still have a little give to it. Once you are happy it is baked, remove from the oven and allow to cool in the tin before putting it in the refrigerator for about an hour to cool somemore. Step 4-Now you can start making the delicious pumpkin seed brittle! Take a frying pan and place the pumpkin seeds in it. Cook these for no more than a few minutes, again listening for when they start to pop as this is a sign they are done. While this is happening, line a baking sheet with baking paper. Step 5-Tip the pumpkin seeds in to a bowl and put them to one side. In to the same frying pan, add the 100g of golden caster sugar and cook on a medium temperature. Now you want to caramelise the sugar, so heat it until it completely dissolves ensuring you don’t stir it at any point. What you can do is tilt the pan every few seconds just to keep then mixture active. Turn up the temperature and cooke further. Once the sugar looks a lot like a caramel mixture, add the pumpkin seeds and tilt the pan again to mix together. Then tip the caramel and pumpkin seed mixture on to the baking sheet and leave to cool and set properly for 30 to 40 minutes. Step 6-Not long to go now before you are ready to serve. Start to prepare the stem ginger cream by mixing the 200ml of double cream and ginger syrup in to a mixing bowl and simply whisk until light and fluffy. Take the pie out of the refrigerator and remove it from the fluted tart tin. Step 7- Add the stem ginger cream to the top of the pie, leaving a few centimetres of pumpkin exposed around the edge of the pie. Once the pumpkin brittle is set, break it in to small pieces and scatter over the top of the cream. Now all there is left to do is to cut yourself a piece of this best pumpkin pie recipe from BBC Good Food as part of your Halloween celebrations! This chicken and chorizo pie from the brilliant people over at good to know recipes will definitely put a smile on your face and will almost certainly satisfy your stomach as well! The colder autumnal nights are now upon us and it will only get colder from here on! To help keep you lovely and warm, we have chosen an extremely simple yet utterly delicious pie recipe from good to know recipes. 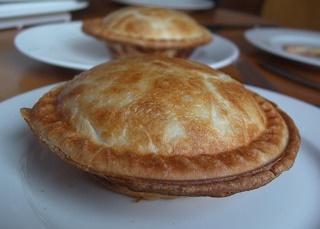 Their chicken and chorizo pie recipe will make you wonder why you did not bake this fantastic pie sooner. The spicy flavour of the chorizo combined with a creamy sauce and tender chicken combine to make the perfect winter pie filling! So a big thank you to Good To Know Recipes for sharing this fantastic recipe! Step 1- Take a frying pan and add the butter to it, before adding the leeks and frying for no more than 5 minutes. Step 2-Peel the skin off the chorizo and add that to the pan as well allowing it to release its delicious flavours. Step 3-Take the roast chicken and add the meat to the pan and cook through again for a further 5 minutes. Step 4-Add the double cream and bring the mixture to the boil. Cook for a little longer until the mixture is thicker in consistency. Step 5- Take the frying pan off the boil and pour the pie filling in to a large pie tin such as this. Step 6- Preheat your oven to 180 degrees celcius/350 degrees Fahrenheit/gas mark 4. Step 7- Dust a work surface with some flour and roll out the pre-made puff pastry, cutting it to fit over the top of the pie tin that you are using. Step 8-Brush the top of the pastry with the milk and bake for around 25-30 minutes until the top starts to crisp and is a delicious golden brown colour. This great vegetable jalfrezi recipe includes delicious ingredients such as butternut squash, cauliflower, fresh peppers and red onion giving this curry an incredible flavour and taste to help you celebrate National Curry Week properly! This vegetable curry recipe is the perfect way to get your 5 a day and celebrate curry week, so take a look at this BBC Good Food recipe here and give it a try at home! Step 1-Start by heating the sunflower oil. Then add the finley sliced red onions to the pand and cooker for no more than 10 minutes until they start to soften. Once you are happy the onions are cooked, add the jalfrezi paste and mix together well, before adding the butternut squash chunks, the cauliflower, vegetable stock cube, passata, 500ml of water and the coriander. Step 2- Simmer for 20 minutes or so. You may need to add some water to the mixture if it appears to be too thick. Step 3- After around 20 minutes, add in the chickpeas and peppers and leave to cooker for around 15 minutes more. You will know it is ready when the vegetables are softer and tender to touch. Add the yoghurt and the coriander leaves to the curry mixture. Step 4-Stir in well before serving alongside the rice and naan bread. You can finish by garnishing this delicious vegetable jalfrezi with a few more coriander leaves. This week is National Curry Week and what better way to celebrate than cooking a delicious homemade curry in the shape of this spiced chicken balti. Here at British Bakeware, we appreciate how busy life can be between work, household chores and picking the children up from school, and that’s before you start on the rest of the list! Well we have chosen a fantastic recipe from the good people over at BBC Good Food to help you celebrate National Curry Week 2015. The great thing about this recipe is that it can be prepared and cooked in just 35 minutes, which is no longer than a normal weekday meal would take. Featuring quinoa, which is a great source of protein, cashew nuts, coriander, chopped tomatoes, chicken and curry paste, this chicken balti is guaranteed to put a smile on your family and friends’ faces. Step 1-To start your national curry week celebrations, simply heat the sunflower oil in a large frying pan or wok and add the onions. Fry until they are soft then set them to one side on a plate. Step 2- Cut the chicken breasts up in to chunks and add to the frying pan, cooking them until the juices run clear. Then add the Balti paste and quinoa as well as the onions. Allow this to cook for a couple of minutes more before pouring in the 400g of chopped tomatoes. Step 3- Allow the curry to simmer for around 25 minutes to half an hour until the quinoa is tender and has soaked up all of the delicious flavours. Step 4-Just before serving this brilliant spiced chicken balti, add the cashew nuts and coriander along with salt and pepper to taste. It’s the final of the Great British Bakeoff this evening with Ian, Nadiya and Tamal battling it out for the chance to be the champion of the Great British Bakeoff 2015! With what is sure to be a fantastic final, we can expect iced buns and classic British cakes! 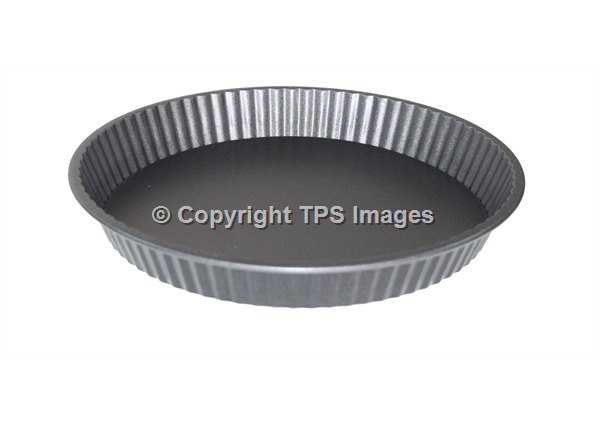 So we sat in the British Bakeware office thinking of typically British cakes. We all came up with the Victoria Sandwich Cake, but one that also stood out was a bakewell tart. However, we didn’t choose any old bakewell tart recipe, we chose this fantastic raspberry bakewell tart by BBC Good Food, as it puts a brilliant twist on the traditional bakewell tart recipe. Step 1-Roll out the shortcrust pastry on a work surface, using some flour to ensure that the pastry doesn’t stick. 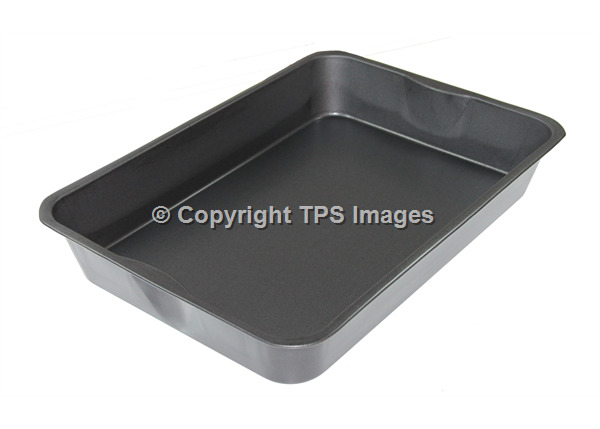 Once you have rolled out your pastry, use it to line a 26cm tart tin. Cover this with cling film and place in the fridge to rest for an hour or so. Step 2-Heat your oven to 190 degrees celcius/170 degrees celcius for a fan oven/gas mark 5.. Step 3- Start making the filling of your raspberry bakewell tart by placing the softened butter, caster sugar and lemon juice in to a food processor. Mix this together until it turns light and fluffy. Turn the food processor to full speed and add the eggs and the almond extract. Mix again until it is well combined and takes the consistency of a smooth paste. Then gently fold in the breadcrumbs and ground almonds. Step 4-Remove the tart case from the fridge and line it with baking paper and baking beans. Place on an oven tray and bake for 20 minutes or so until the sides are set. Remove from the oven and take out the baking beads and baking paper. Place back in the oven to bake for another 10 minutes until the base is a biscuity consistency. Step 5- Take the bakewell tart base out of the oven and spread the raspberry jam on the base and top with the filling you prepared earlier. Place this back in the oven and bake for a further 25 minutes or until the filling is cooked. Step 6-Once the raspberry bakewell tart has cooled, remove it from the tin by carefully tipping the bottom of the tin out. Place the tart to one side. 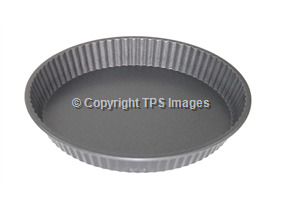 Prepare the icing for the tart by adding 5 tbsp of water to the icing sugar. Cover the top of the raspberry bakewell tart will icing, leaving some to one side. Place the fresh raspberries on top before adding the remaining icing and any leftover almonds. Allow the icing set before slicing and serving.